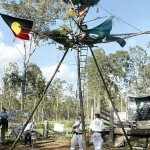 This February, changemakers of all ages, cultures and social backgrounds will be meeting at the Marion Bay Falls Festival site in Tasmania for a social justice conference like nothing else. 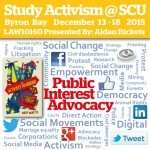 Southern Cross University is proud to offer this ground breaking course in Public Interest Advocacy and social change activism as part of its innovative Byron Bay Summer Law School initiative. Is there a better way for democracy? 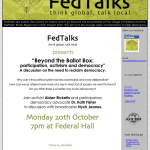 Join Aidan Ricketts, democracy advocate Dr Kath Fisher & broadcaster Nyck Jeanes. Mon 20 Oct, 2014. Federal Hall. Greens. Reboot. Future. 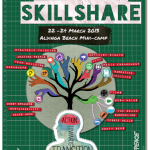 A weekend of great speakers and big topics. Reboot is for anyone asking big questions about what’s wrong with our society and what we, together, can do about it. 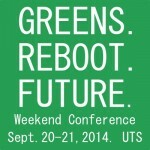 The Greens are excited to bring together great speakers and big topics and want you to join in. Help us maintain our grassroots democratic approach to social change and develop our principles of peace, sustainability and social justice. 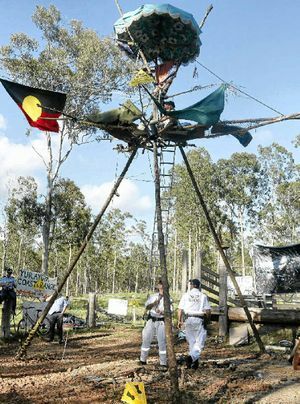 Come and hear Aidan Ricketts, author of The Activists Handbook and spokesperson for Gasfield Free Northern Rivers, speak about the community struggle against Metgasco at Bentley (near Lismore). Aidan Ricketts is an experienced social and environmental activist as well as a prominent activism educator, academic and writer. 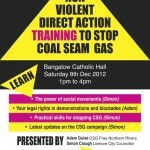 Aidan has written for many academic journals and is author of “The Activists’ Handbook”. 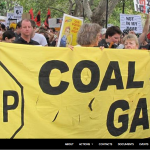 He is also a lecturer with the School of Law and Justice at Southern Cross University. 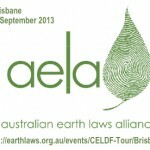 This workshop offers a unique opportunity to hear from activists and lawyers, from Australia, the USA and Ecuador who are using new organising frameworks to successfully protect their natural and human communities. 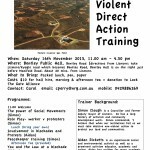 $10 / $5 concession – Bookings essential. 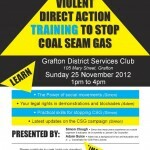 Calling all campaigners and activists! 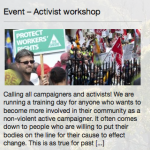 We are running a training day for anyone who wants to become more involved in their community as a non-violent active campaigner. 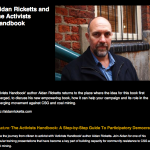 Take the journey from citizen to activist with ‘Activists Handbook’ author Aidan Ricketts. 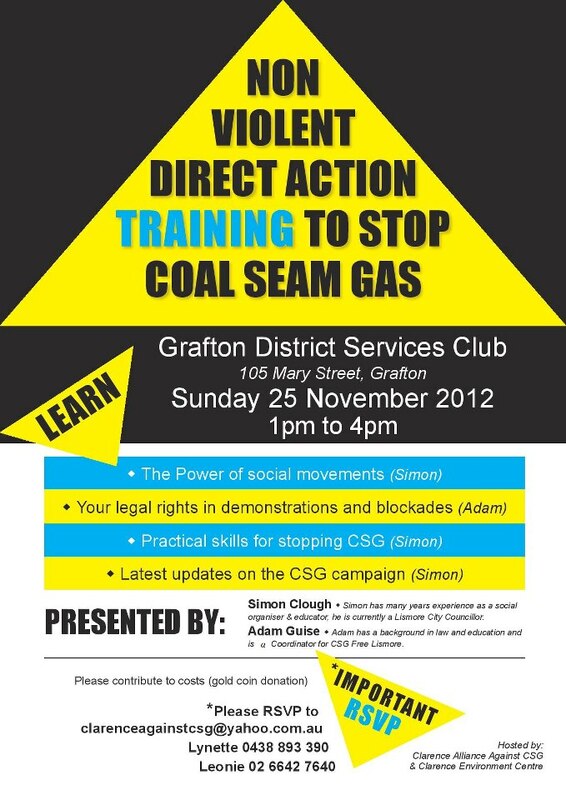 Join Aidan for one of his popular training presentations that have become a key part of building capacity for community resistance to CSG and coal mining.